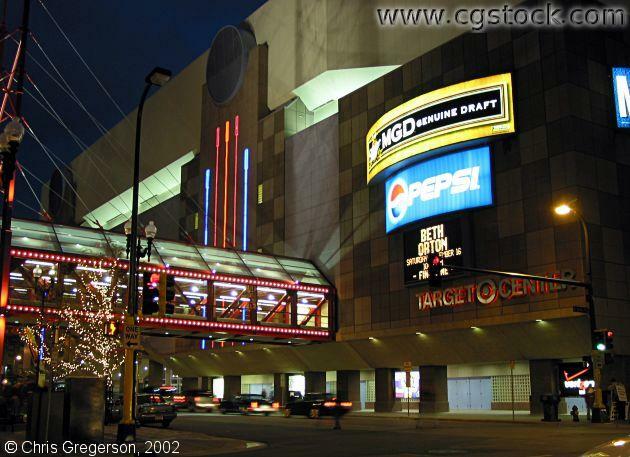 This is the Target Center sports arena, home of the Minnesota Timberwolves. The street at the bottom of the picture is 1st Avenue North. This view is from 6th Street. The skyway on the left leads to Block E.